The Eagle court of honor is Scouting’s greatest moment, the moment the boy will remember long after he becomes a man. But what will he remember? An off-the-rack script? A thrown-together ceremony? A parade of long-winded speakers? Or an event that truly honors what he has achieved and become? 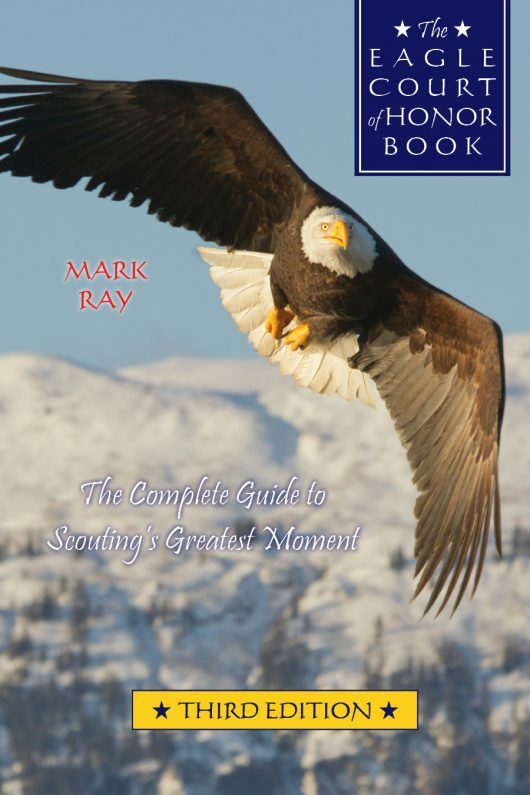 Since 1996, tens of thousands of Scouters and parents have turned to The Eagle Court of Honor Book for expert guidance in making Scouting’s greatest moment truly great. Now in a revised and expanded third edition, the book is better than ever, reflecting lessons learned in countless courts of honor—more than a few of them planned by the author himself. Thank you for a wonderful resource. 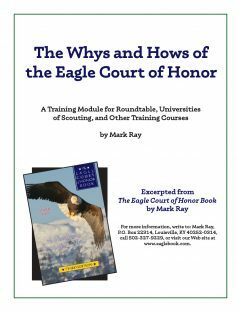 During my six year tenure as our Committee Chair, I’ve put together Eagle ceremonies for 9 of our Scouts and the Eagle Court of Honor Book has been invaluable. 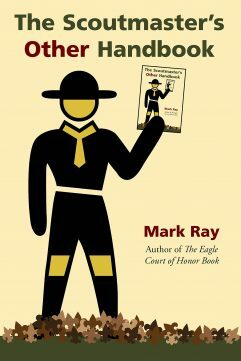 I’m currently working on our Troop’s first quadruple Eagle ceremony and Mark has been very kind in personally responding to my questions. Thank you! I love the new ideas in this third edition! 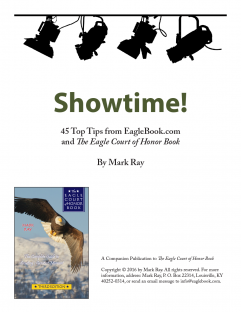 Our troop leaves the planning of the ceremony up to the family of the Eagle Scout, so having this resource in my hands during the entire planning process has been invaluable. As we plan our family’s third Eagle Scout ceremony, we are excited because with the help of this third edition, this promises to be a more unique ceremony, tailored to the interests of our third son. Our Troop leaves the planning of the entire ECOH up to each family, so having this book as a reference helps to eliminate overlooking an important aspect. Tons of great tips. This is a fantastic book. 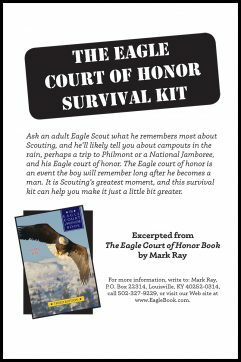 I have been a Scoutmaster over 11 years and this has been one of the best resources that I have used for Eagle Court of Honor. I like what the 3rd edition built on top of the second edition. I found a copy of your “Scout Law in Scripture” online and we used portions of it for my son’s Eagle Ceremony yesterday. Thank you very much for giving us permission to use it. We got great feedback from the audience.